Get a discount on bulk book orders. A business purchase books in bulk can allow a company to take advantage of lower costs. The amount of the discount depends on the number of units bought. Business owners keep an eye on the bottom line. If you need to order several copies of books, manuals, or other written materials for your staff, take the time to compare offers from different suppliers. The Internet has opened new possibilities for doing business with retailers from different parts of the country and even from other countries. When looking online for bulk book deals, be sure to take into account that conducting business with a retailer located outside your region means you will incur shipping costs. Consider whether the amount paid for shipping charges makes this an economical choice or not. If the cost is higher (even with a bulk discount), then you're better off seeking a local supplier. When planning to order books in bulk, the first step is to find local retailers who carry the materials you need. Contact the manager or owner to inquire about a discount for bulk purchases. Have an idea of the amount of discount you want to negotiate before you start the discussion and clearly convey your expectations. You stand a much better chance of getting what you want by saying, "Since I need to order [X] amount of books, I would like to get a discount of [X] on the total order" than you would if you say, "What can you offer me as a discount?" When you state a specific figure in the negotiations, you give yourself wiggle room. Ask for a slightly higher discount than what you actually want and give the retailer room to negotiate a slightly lower discount. ecampus.com offers discounts on bulk orders of 20 units or more. (Each book purchased must be a minimum of $5.00 to qualify for a discount.) To negotiate a discount, simply e-mail the Bulk Purchase Department to discuss. Bulk book orders can also be placed on eBay. Retailers advertising on this site can accommodate orders from 5-500+ copies. As always, find out about the retailer's return policy before deciding to buy from them. Ballistic Publishing offers a discount of 20 percent on orders of five or more books. Kay Porter Books offers discounts to corporate customers. Barnes and Noble may be able to offer business purchase books in bulk discounts on 50 or more units (must be the same title). Payment is to be made by credit card or through a Barnes and Noble account purchase order. The purchase order may be used for orders in excess of $500.00. Please note that Barnes and Noble do not accept returns of bulk orders. Shipping to international addresses is available, though. 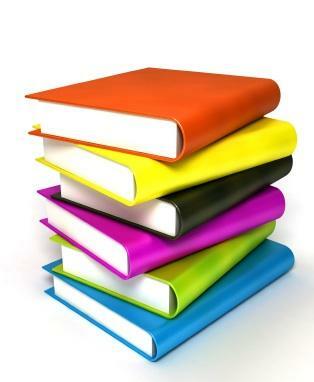 Amazon.com offers corporate accounts to businesses, schools, government departments, libraries, and others interested in purchasing large quantities of books and other materials. Both a revolving credit line and a pay-in-full version are available, depending on the size and needs of the organization. It makes sense to shop around for the best possible price when your business decides to purchase books in bulk. Be sure to allow sufficient time to consider several suppliers before making your final decision.